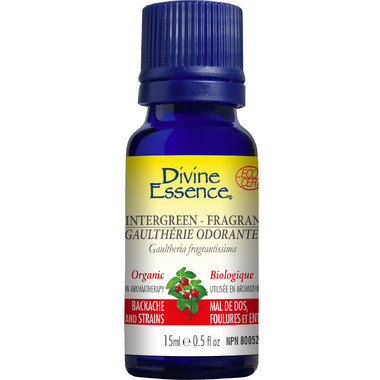 Divine Essence Fragrant Wintergreen Fragrant Essential Oil's aroma is on the minty side, but it also has a warming quality that makes it perfect for relieving aches and pains. Was recommended this product by a naturalist to use on sore muscles, arthritis pain, stiffness. It act as would, say Absorbine Jr, except this is all natural. And it does work wonders and smells good!! I make sure I always have a bottle on hand. I love the smell of Wintergreen, one of my favourite smell of all times.